Two miles from the historic and arty town of Chipping Campden, Cottage Farm is found nestling under the Cotswold Edge. 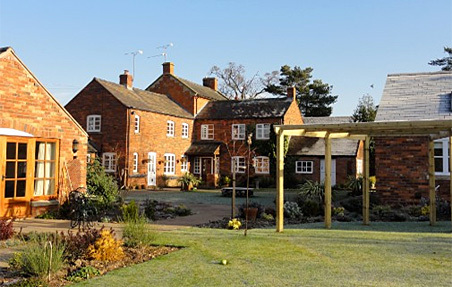 We are only four miles from beautiful Broadway and ten miles from Stratford upon Avon, famous for the RSC and Shakespearean houses, River Avon, recreational areas and many pubs and restaurants. Sandra, Emma, Miguel and family pets offer guests a warm welcome, the farm is no longer working and has recently been refurbished to a high standard. The accommodation is set in pretty Cotswold countryside amidst attractive gardens with sheep and horses grazing in the ajoining fields. Our pretty spacious gardens are ideal for relaxing before exploring for the day or going out for your evening meal. Our double rooms are on the ground floor and have been recently refurbished to a high standard with ensuite facilities. Each room contains a flat screen TV, radio/alarm clock, hair dryers and tea and coffee making facilities. Our pretty spacious gardens are ideal for relaxing before exploring for the day or going out for your evening meal. There is an outdoor children's play area if required which is observable from the house (parents are responsible for their own children's safety] and we have ample safe parking. 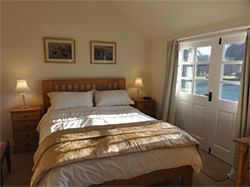 Rooms contain a brochure with lots more information on local amenities and places of interest.